In Other Media e.g. 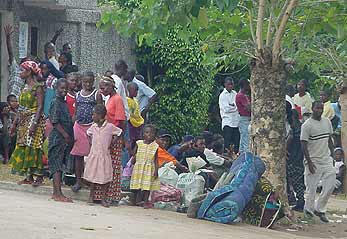 Somalia, Ghana, Azerbaijan, The Gambia For further information, click here to contact us . UNITED NATIONS, October 31 -- "Did the U.S. State Department produce the brochure promoting Josette Sheeran Shiner to head the UN World Food Program?" Nearly 7 p.m. Tuesday, Inner City Press asked U.S. Ambassador John Bolton this question. "I've never seen the brochure," Amb. Bolton said. "So I can't comment on it." Video on UNTV, at Minute 4:40. That can be quickly remedied -- click HERE for a scanned copy of the brochure, in PDF format. Also on Tuesday, Inner City Press asked the General Assembly president's spokeswoman who in her purview may have seen the campaign brochure. WFP is run by a 36-member executive board, half of the nations appointed by the UN ECOSOC, half by the FAO. The GA president's spokeswomen later said they do not answer for the ECOSOC, so Inner City Press put the question, in writing, to the mission of Tunisia, which chairs the ECOSOC. Similarly, Inner City Press has put the question to FAO, including asking if a provision of the FAO Constitution about picking the candidate with the most experience and technical competency applies to this WFP process. UNITED NATIONS, October 30 -- "We support the official American candidate, Josette Sheeran," U.S. Ambassador John Bolton said Monday, responding to Inner City Press' question about another U.S. citizen in the final four to head the UN World Food Program, current head of WFP in Asia, Tony Banbury. Inner City Press asked, "How is the previously-announced U.S. candidate, Josette Sheeran Shiner, more qualified than Mr. Banbury?" "She has enormous qualifications," said Amb. Bolton, citing international agricultural affairs and that she has the "full confidence" of Secretary of State Condoleeza Rice.Video on UNTV, Minute 7. A four-page campaign brochure bearing Ms. Sheeran Shiner's photo on the cover states, "As executive director of WFP, I would ensure that this life-saving program has the resources, capabilities and global support to enhances its ability to respond with lightening speed to hunger and family." 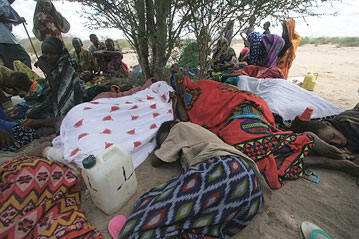 Somalia refugees. Who should head WFP? Does experience, and UN Staff Rules, matter? The brochure lists, often repetitively, Ms. Sheeran Shiner's previous jobs, by far the longest of which was for the Rev. Sun Myung Moon-owned Washington Times. During that time, Ms. Sheeran Shiner was a member of Moon's Unification Church, which has since been renamed. Ms. Sheeran Shiner has stated she is no longer a member of the Unification Church. "Nominated Finalists are selected by the Nominating Juries for each category as finalists in the competition. The Pulitzer Prize Board generally selects the Pulitzer Prize Winners from the three nominated finalists in each category. The names of nominated finalists have been announced only since 1980. Work that has been submitted for Prize consideration but not chosen as either a nominated finalist or a winner is termed an entry or submission. No information on entrants is provided." The brochure lists Ms. Sheeran Shiner's work for William Bennett's "Empower America," stating that she "raised more than hundreds of thousands of dollars as CEO of Empower America." But sources tell Inner City Press that her departure from Empower America was due to not raising enough money. Given concerns raised about Ms. Sheeran Shiner's qualifications to become the executive director of the World Food Program, legal inquiry has been made into relevant provisions of the UN Charter, of UN staff regulations and rules and of the FAO Constitution. All speak to the need to select the most competent candidate; Staff Regulation 4.4 and Staff Rule 104.14 provide that "if qualifications are equal, staff members already in the Secretariat or in other international organizations are given preference over others in filling vacancies." 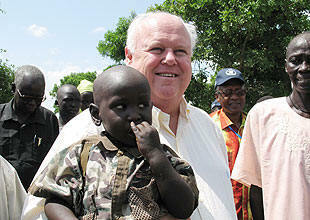 WFP's Jim Morris has announced he is leaving, creating a vacancy. It is nearly a fait accompli that the post will again go to an American. Tony Banbury, a U.S. citizen who is current the head of WFP in Asia, has worked for the UN all the way back to 1988 in Thailand, 1995 in Cambodia, and from there to Bosnia and Croatia. He has actually run programs to deliver food for the WFP. Monday at the UN, after the Security Council meeting on Lebanon and Resolution 1559, Inner City Press asked Amb. Bolton to articulate how Josette Sheeran Shiner is more qualified than Tony Banbury. Amb. Bolton replied that Ms. Sheeran Shiner is the "official candidate." But that does not answer, why? Nor does it answer the previous question, of why Kofi Annan in a lame duck period is being asked, by the U.S., to make a five year appointment. Is this any way to choose the head of the UN World Food Program? Regarding Lebanon, Inner City Press asked UN Envoy Terje Roed-Larsen about press reports, confirmed by Russia's Defense Minister, that Russian road-repair teams in Lebanon have brought soldiers with them, from the Vostok brigade from Chechnya. Beyond the human rights issues raised, there is a question of whether such troops in Lebanon violates Resolution 1701. Video on UNTV. Mr. Roed-Larsen committed in an interview to look into the matter and get back to Inner City Press, and took a business card to do so. We'll see. Outgoing Security Council president Kenzo Oshima told reporters that the Ivory Coast resolution, which must be passed by October 31, is still being negotiated. Apparently, the Council will seek to satisfy the provision that resolutions should be finalized and their texts "put in blue" 24 hours before a vote by putting this unfinished text in blue on Monday night. Then the (light) blue text is slated to be nailed down and voted on during Tuesday's Council session. In a similar legal fiction, the North Korea sanctions committee's failure to meet the 14-day deadline in the resolution's Paragraph 8 is being ignored. The list, Amb. Oshima told Inner City Press, will be ready on Tuesday midday. "Don't try reading it," he advised. Video on UNTV. The Council voted on the resolution without having the list, and now the deadline in the resolution is being ignored. Is this any way to make international law? UNITED NATIONS, October 27 -- The four-person short list to replace Jim Morris as head of the UN World Food Program includes Tony Banbury, a Democrat who worked in the Bush Administration for a year before rejoining the UN system and the current head of WFP's Asia operation, Inner City Press has learned. As first reported by Inner City Press on September 29, the Bush Administration's nominee for the WFP post is Josette Sheeran (Shiner), formerly an editor of the Washington Times and a 20-year member, until 1998, of Rev. Sun Myung Moon's Unification Church. The two other short listers are Canada's Robert Fowler and Walter Fust. Sources say that many senior figures in the Bush Administration could live with Tony Banbury getting the job, given his strong credentials earned in the aftermath of the Indian Ocean tsunami and the earthquake in Pakistan. They simply couldn't or didn't choose to nominate a Democrat instead of a Republican, particularly a Republican with a history with the Unification Church, a sub-constituency. Friday, a senior UN official confirmed to Inner City Press that Tony Banbury is on the WFP short list. The list was whittled from eight candidates to four by a five-person panel that included the UN's Deputy Secretary-General Mark Malloch Brown, Under-Secretary-General for Humanitarian Affairs Jan Egeland and UNFPA's Thoraya Obaid, and well as two representatives from the UN's Food and Agriculture Organization. Now the finalists will be interviewed by FAO Director-General Jacques Diouf, who is currently in New York. It is widely known that Dr. Diouf does not get along with finalist Robert Fowler who has been serving as Canada's ambassador to the FAO in Rome. Dr. Diouf's views on Walter Fust, are not known. Nor are Dr. Diouf's connections with the Bush Administration although regarding these, the coming decision may speak loudly. Question: On the World Food Program (WFP) process, we have heard that there is a shortlist. Is that true? Who is on it? Spokesman: I have said all I have to say on that, and we expect an announcement in the next couple of weeks. Inner City Press question: When the Office of the United Nations High Commissioner for Refugees (UNHCR) selected Mr. Guterres they did actually say who was on the shortlist. Is that not going to be done in this case? Spokesman: The process here is slightly different because as opposed to UNHCR this is not an appointment that goes to the General Assembly. This is an appointment that is made jointly by the Secretary-General and the Director General of the FAO. Inner City Press question: Will it be a five-year appointment? Spokesman: My understanding is that it will be. Concerns have been raised about Kofi Annan making five year appointments now that he remains Secretary-General for only nine more weeks. On September 27 at the UN, before the WFP nomination had become public, U.S. Ambassador John Bolton told reporters that Kofi Annan's appointment of new UN officials would only be okay if these officials' contracts ended "soon after January 1." Video here, at Minute 4:43. Inner City Press: On the secretary-general transition and the World Food Program looking for a new executive director, I've heard that the U.S. put forward Josette Sheeran Shiner. Is it your position that this should not be done until January 1st or that she could be appointed and given a five-year term prior to that? Ambassador Bolton: She could be appointed prior to January 1 or thereafter. And the precedent has differed from reappointment to reappointment. U.S. Ambassador Bolton added that Josette Sheeran Shiner was "the most qualified candidate." As Inner City Press reported on September 29, open-source research reflects that Josette Sheeran (Shiner) was an active member of Rev. Sun Myung Moon's Unification Church from 1975 through at least 1996. After that date, it is reported that she went "into the world," including into William Bennett's Empower America organization and then the U.S. State Department, in order to spread the Unification Church's message and position. Beyond controversial views on abstinence, mass-marriage and other matters, including the UN, these include business ties with and praise of North Korea. "For the past several weeks, we have been working with the White House to search for a highly qualified candidate to succeed Jim Morris as Executive Director of the World Food Programme. We now have an excellent candidate in Ambassador Josette Sheeran (Shiner)... Through the course of a distinguished career in government, business and journalism, Ambassador Sheeran has excelled as a diplomat, humanitarian, business leader and development policy leader." The reference to journalism is to Ms. Sheeran's tenure as managing editor of the Moon-owned Washington Times. In that capacity, in 1992 Ms. Sheeran went on an 11-day visit to North Korea, leading up a feature article commemorating the 80th birthday of Kim Il-Sung's 80th birthday. "Even if the sky is falling down on us, there will always be a hole for me to rise up through," said Kim -- a sentence Sheeran-Shiner later recollected, as recounted by the American Prospect, as "this wonderful thing which I printed in the paper." Sheeran-Shiner's interview with Kim Il-Sung painted him as a "self-conﬁdent, reﬂective elder statesman rather than the reclusive, dogmatic dictator he is usually portrayed as in the West." Now Kim Il-Sung's son is being portrayed by Ms. Sheeran-Shiner's nominator as a threat to international peace and security. More documents on the North Korea - Moon connection are online here. "One typical worried parent is New Jersey's state insurance commissioner James Sheeran, three of whose daughters�Vicki, 25, Jaime, 24, and Josette, 21�are Moon converts. 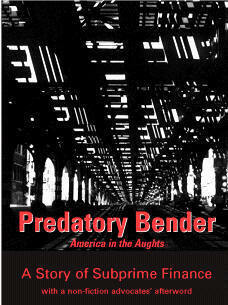 He wants laws to protect people from 'cruel and exotic entrapment of their minds, souls and bodies.' Late one night last August, Sheeran decided to act when Josette, normally compassionate, showed little interest upon learning that her grandmother was in the hospital. He, his wife and a son drove to Moon's school to seek Josette. Fifteen Moon men materialized, a scuffle ensued, and state police arrived amid mutual charges of assault." In fairness or under the doctrine of equal time, Inner City Press has heard a person who states that she "worked with Ms. Sheeran at the Office of the Untied States Trade Representative" and that "she severed her ties with the Unification Church... do you actually think the State Department's security clearance process" who have passed a Unification Church member? Well, yes. George H.W. Bush has given speeches extensively praising Sun Myung Moon. But it's duly noted here, this missive from a person who worked with Ms. Sheeran also at the Washington Times, that after 20 years of membership in the Unification Church, it's stated that all ties were then severed. It remains newsworthy, also on the shifting positions on whether Kofi Annnan should be allowed to hand out five-year appointments in the less than three months he has remaining in office. U.S. Amb. Bolton said Annan shouldn't make appointments beyond the end of 2006, then receiving new instructions, said there'd be precedent to give Ms. Sheeran five years right now. Would he and the Bush Administration take the same position on Tony Banbury? We'll see. WFP insiders have pointed out to Inner City Press that within the U.S. State Department, of Josette Sheeran (Shiner) it is said, "She is no Al Larson," her predessesor as Under-Secretary for Economic Affairs. These WFP sources note that Ms. Sheeran Shiner has no experience in humanitarian operations, or in emergency relief work, in international affairs, or in managing a large, complex, multi-billion dollar agency. One argues, "it would still be possible for Kofi Annan to retain an American for the WFP post and to not agree to the Bush Administration's rather unqualified candidate. After the tragedy of Hurricane Katrina, America learned a lesson: Don't place unqualified political appointees in charge of critical emergency response agencies. The same lesson applies to leadership considerations for the WFP, the global 'first responder' for floods, hurricanes, earthquakes and tsunamis the world over." Yer doin' a heckuva job, Shinie! Developing. UN's Annan Dodges Danger and Set-Backs in Gabon, Geneva, Tibet, Sudan, Disclosure Form Also for Successor? At the UN Poorest Nations Discussed, Disgust at DRC Short Shrift, Future UN Justice? At the UN, Internal Justice Needs Reform, While in Timor Leste, Has Evidence Gone Missing? For reporting about banks, predatory lending, consumer protection, money laundering, mergers or the Community Reinvestment Act (CRA), click here for Inner City Press's weekly CRA Report. 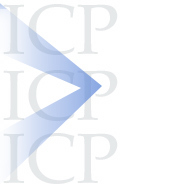 Inner City Press also reports weekly concerning the Federal Reserve, environmental justice, global inner cities, and more recently on the United Nations, where Inner City Press is accredited media. 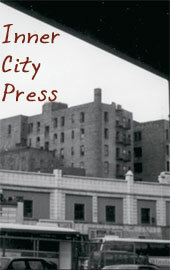 Follow those links for more of Inner City Press's reporting, or, click here to contact us with or for more information.